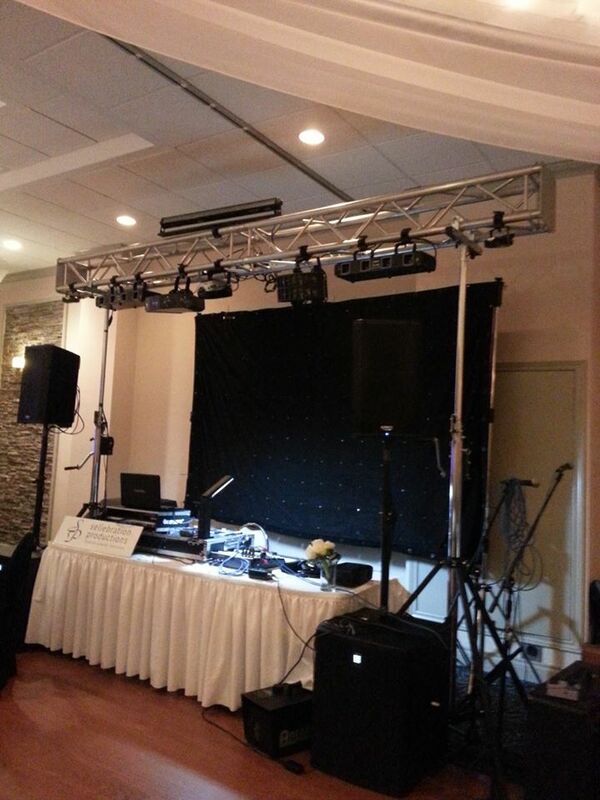 Our new aluminum truss system. A great addition to our lighting show. Now we can add more lights and also put them up 16 feet in the air. This is up 12 feet. This is for our package B shows. North Bay’s elite party company. We are always expanding.